I sometimes thaw the whole packet a lit bit just enough to break thm into pieces, cut them into small squares and then save them in regular ziplock. saves lot of time when we are pressed for time. when needed i pick up few cubes and microwave it as you have said in your post. this way its very quick. Very helpful post to the readers. Thanks. Another thing I noticed about frozen coconut packets in the US is there are two types of packets; one that says "Shredded coconut" and the other that says "Grated coconut". 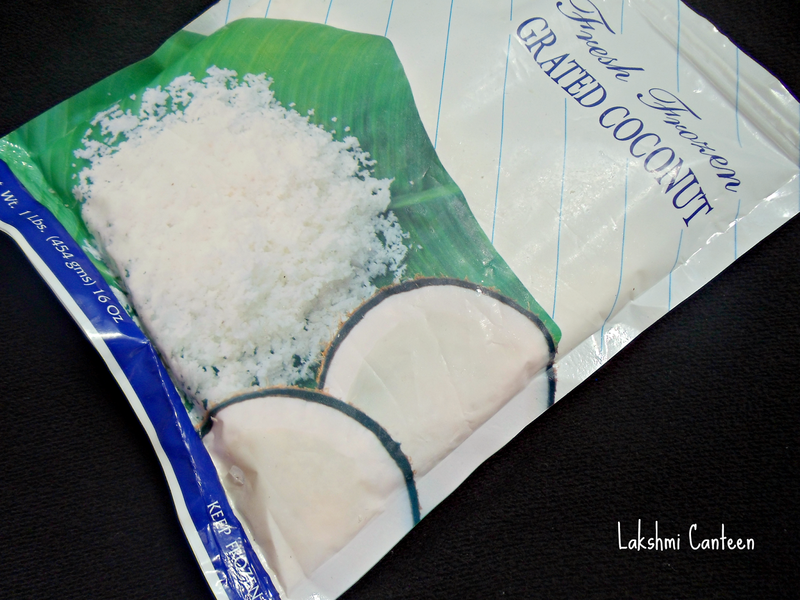 For amchi kind of cooking Grated coconut is the most suitable kind. 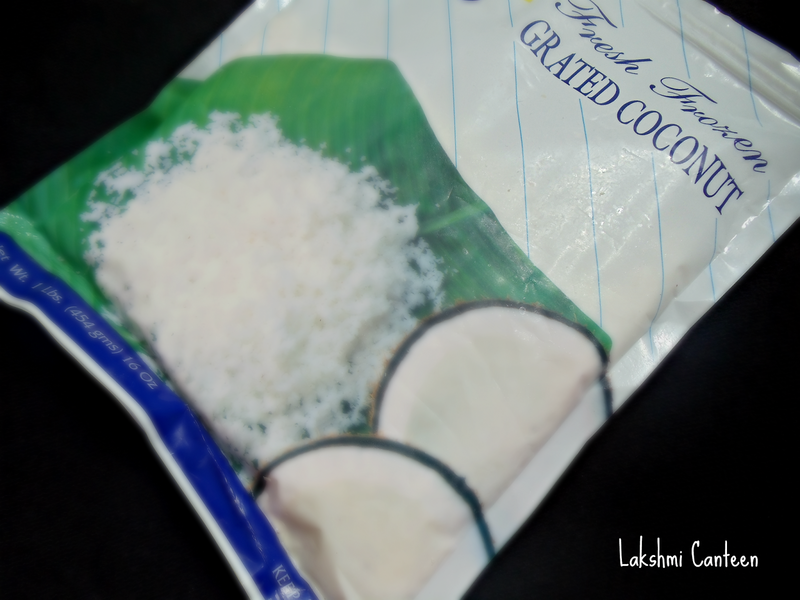 Shredded Coconut has no coconut milk left in it, as it is already squeezed out of it and whatever "saw dust" kind of texture is left as a result, is what is in that packet. Very disappointing, to say the least! So once burnt, I always make it a point to get Grated coconut and not the Shredded kind.